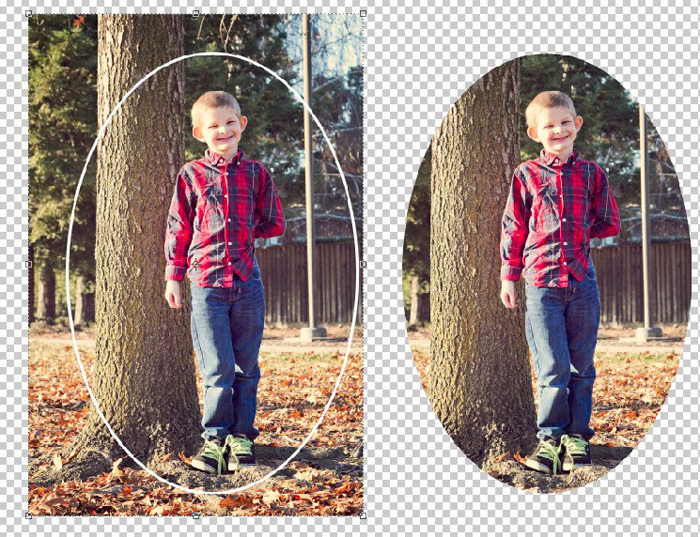 Custom shapes in Photoshop are vector shapes, which means they can be resized to any size without distortion or loss of detail. 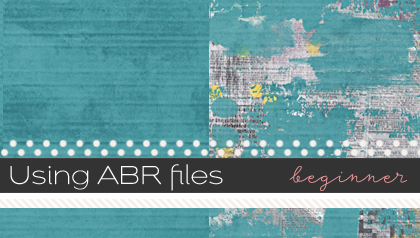 This makes them a great tool for scrapbookers! 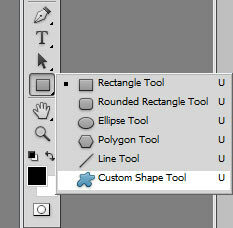 The custom shape tool is located in the toolbox but it’s hidden under the Rectangle Tool. If you right click the Rectangle tool, you will see it at the bottom of the menu. When you select the Custom Shape Tool, you will see a new menu at the top of your screen. If you click on the little arrow next to ‘Shape’ a drop down menu will appear where you can pick one of Photoshop’s default shapes. 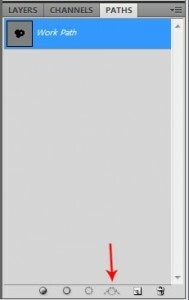 Select a shape and while holding your shift-button, drag with your mouse in your canvas to draw the shape. Make sure it’s on a new layer! You can draw just as big or as small as you like, there will never be any blurred edges! 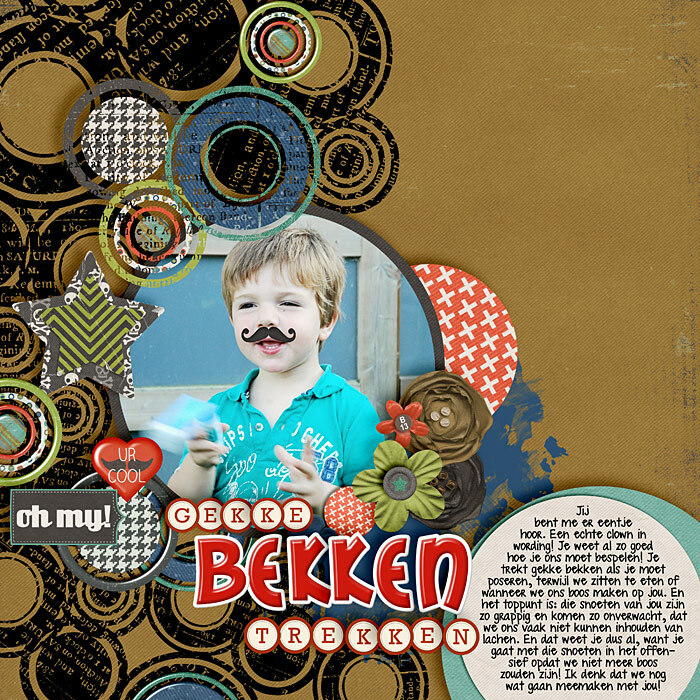 There’s a neat little trick in Photoshop to make your own custom shape from any element or illustration in a scrapbook kit. 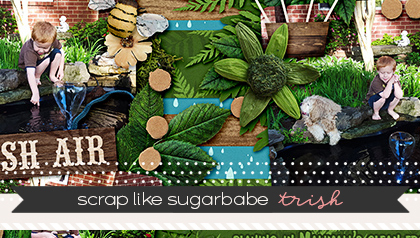 For this tutorial I’m using the kit ‘Hey Mister’ by Jenn Barrette and Traci Reed. 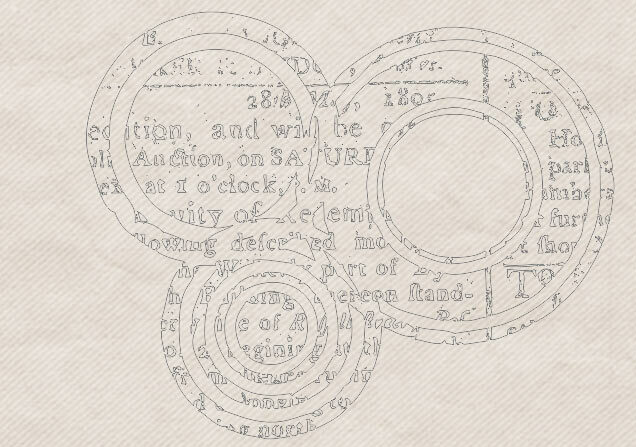 I opened the circle stamp from this kit in Photoshop. I want to make a custom shape out if it. To do that, I first need a selection of the entire element. 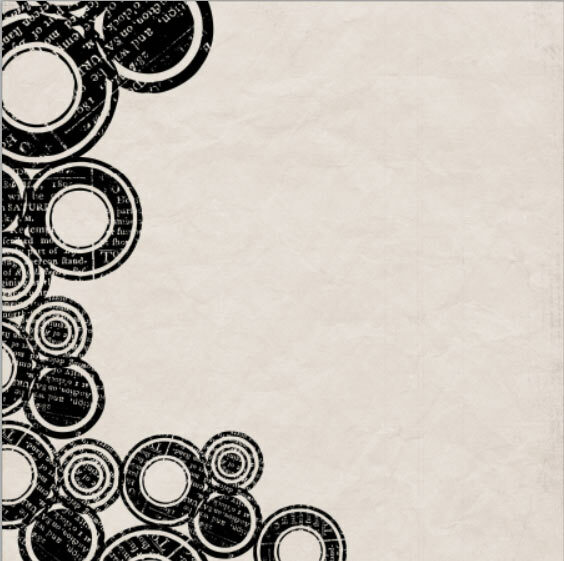 While holding my Ctrl key (Command on Mac) I click the little icon of the circle stamp in my layer’s window. 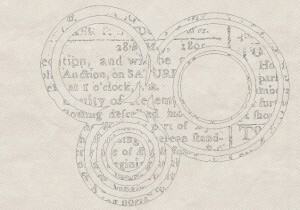 There will now be marching ants around the entire circle stamp. Next, I go to the Paths menu. This menu is in another tab in your Layers window. If it’s not, go to ‘Windows’ in Photoshop’s top menu and select ‘Paths’. At the bottom of this window, there’s this button ‘Make work path from selection’. Click on it to make a path from your selection. If you now go back to your Layers window and hide the circle stamp by clicking on the eye next to it’s layer, you’ll see that you’ve now made a path. Now go to ‘Edit’ in the top menu and choose ‘Define Custom Shape’. A window will pop up where you can name your custom shape. Hit ok. Now the fun begins! You can delete the work path in the Paths Window and the circle stamps in the layers window. Make a new layer and select your Custom Shape tool. Select a color as your foreground color. Choose your new custom Shape from the drop down menu and start drawing your shapes. Hold the shift key to contain the proportions. 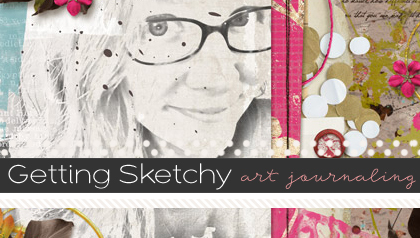 Make a new layer for every shape you draw. When you’re done, arrange the different layers by resizing and rotating them. Once you’re happy with your composition, merge all the shape layers together. 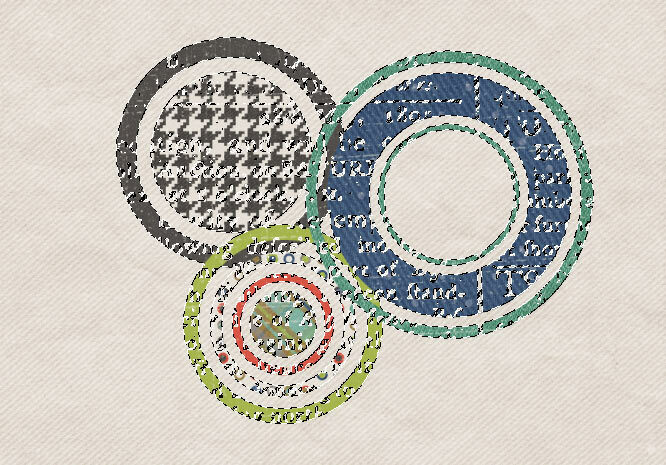 You can do this by selecting them all in your layers window, then right click and choose ‘merge layers’. You can leave this layer as it is and start scrapping the rest of your page, or you could clip a paper from your kit to it! Great tutorial, Kim!!! I never knew how to make a custom shape… this is such a great thing to teach us all. Thanks! I can’t wait to try it myself! Great tutorial I love learning new things! I agree with Brook, I’ve wanted to learn how to do it too. Thanks!! OMG Kim, this is awesome!!! I’m going to try this–I never knew you could make your own custom shape, though I’ve also downloaded and installed a few!